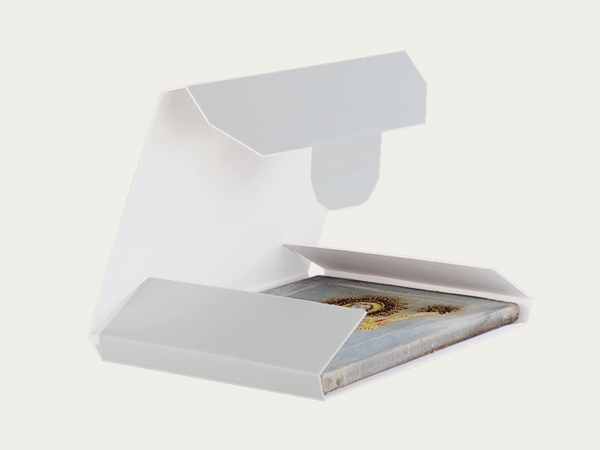 A simple and reasonably priced folder type, wraparound box for storing books, archival material and other objects. Often used for exhibition transports. 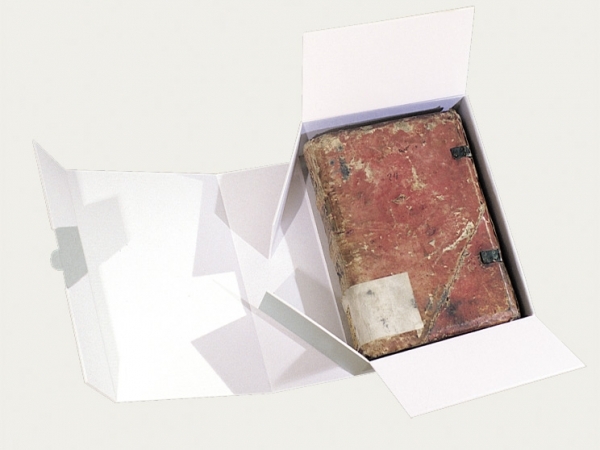 A folder type, wraparound box very similar to the design of the KS 1 box, yet with an attached base insert. 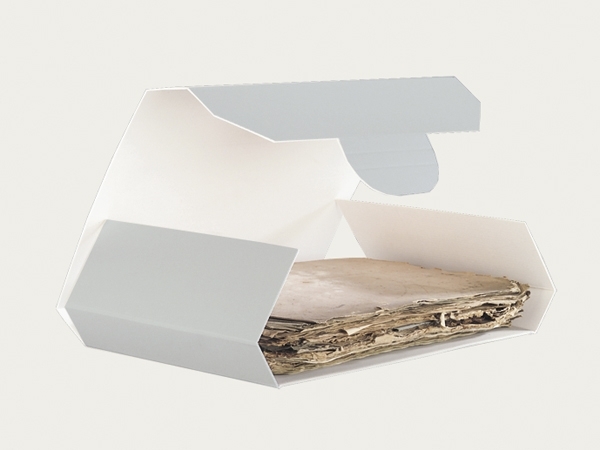 Suitable for books and other kinds of archival objects. The narrow closing flap does not touch the object being archived.